I went to CVS today for some girl supplies and found the Pop-arazzi polishes on sale for .99. I decided to pick up six additional colors to add to my collection. Today I’m sharing two of those colors. First off we have Midnight Maven. This is a rich burgundy cream that I would almost consider an ox blood color once it dries. It has just a hint of brown in the color. Two coats and this polish is opaque. Next we have Mauvie Night. A beautiful taupe grey cream. The color does deepen a bit once it dries compared to the bottle color but it just a slight change. Two coats for this polish to be opaque. If you have never tried Pop-arazzi polishes before be warned that they don’t have that typical polish smell. To me they are strong in odor similar to Broadway Nails with that almost plastic type of smell. For some this may be a turn off. Personally I didn’t find that it lasted long but I could have just gotten used to it by the time I was done. The brush was wide and not all the bristles wanted to lay flat so it did require more cleanup than with other polishes. With that said both colors went on smooth. Overall I’m happy with the purchase of these two colors and if I didn’t have so many untrieds I would wear these again before the season was over. 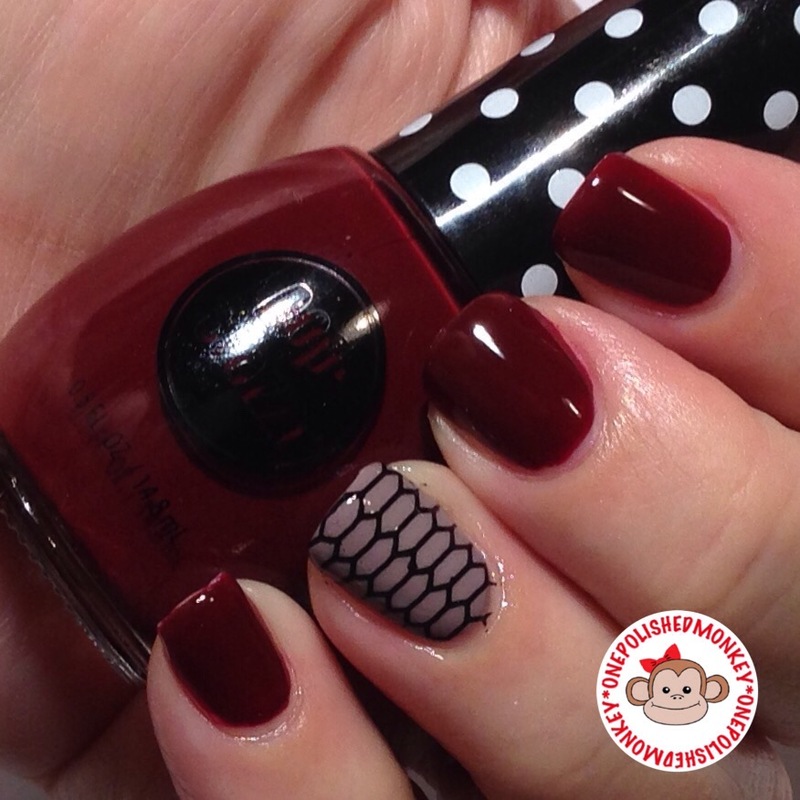 Mauvie Night was stamped over using Bundle Monster stamping plate elleanddish BM-XL201 with Mundo de Unas polish in 02 black.